Experience United States Seamless® The Process Is Easy! United States Seamless is taking the home exterior remodeling industry to a new level. Our siding is different from others, because it's seamless and made from steel. Other siding products must be constantly overlapped or shoved together every 12 feet or less to reach the length of your home, which creates a pattern of ugly splices and joints. The average home has more than 130 splices. With United States Seamless' steel siding, we eliminate those unsightly splices and joints. That's why we say, "We'll go to ANY length to beautify your home.®" We are even in the Guinness Book of World Records for the world’s longest continuous piece of seamless steel siding, measuring 239 feet, 9 inches! Some homeowners say the way we install seamless siding on a house is "magical." You can see it happen right before your eyes. Each piece of seamless siding is custom-fit to the exact measurements of your home. With year-round installation capabilities, our portable siding machines manufacture each and every panel at your home. No matter what colors or profiles you select, they will be custom-made for your home. Increasing your curb appeal is that simple, and you are going to love what United States Seamless can do for your home. Seamless steel siding from United States Seamless not only frees you from time-consuming maintenance, it frees you from seams and joints, fading, chipping, flaking, cracks, warping, bubbles and so much more. 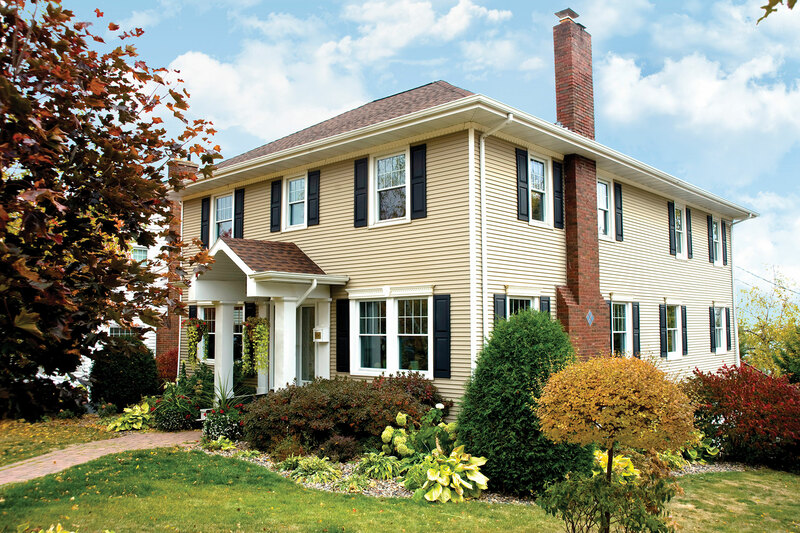 Maintenance-free seamless siding does more than save time — it saves money. 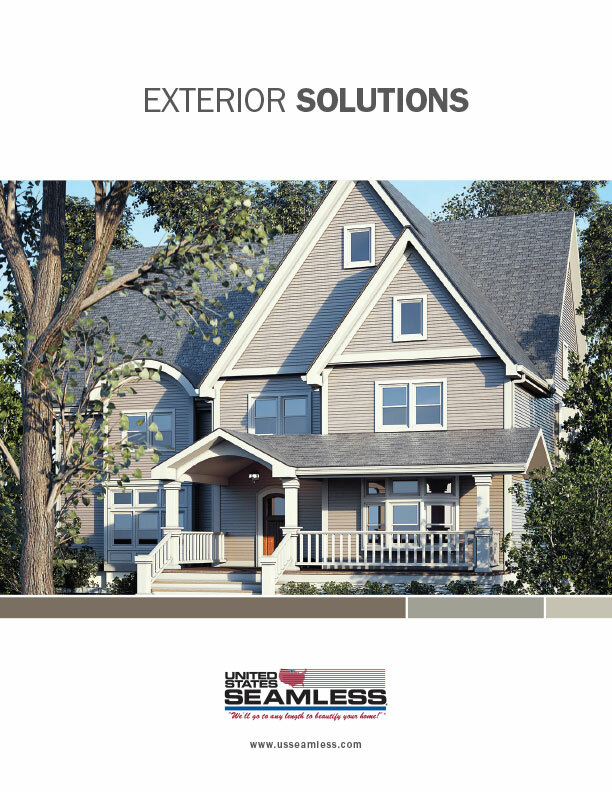 With seamless steel siding from United States Seamless, there's no need for priming, caulking, painting, staining, sealing or patching to maintain the exterior appearance of your home. Your siding will look freshly painted for years to come with little to no maintenance. Time and money once spent maintaining and repairing siding can be spent enjoying life with family. When investing in your home's exterior with products from United States Seamless, you can have confidence knowing that your home is protected by a limited lifetime warranty against defects. You're also backed by our unprecedented limited lifetime warranty against fading and chalking. Our warranties are the strongest in the industry, and you’ll have peace of mind knowing your new seamless exterior will retain its beautiful, maintenance-free appearance year after year. Guaranteed. Combine the durability of steel with our seamless technology, and homeowners will have a product that makes their home look great. There are many important attributes of steel siding that have driven its success, and maintenance freedom is an attribute that homeowners value greatly. Steel siding requires virtually no maintenance. You eliminate most of your annual exterior work and only have to rinse your exterior with a garden hose. Seamless siding substantially reduces moisture intrusion, which can cause structural deterioration. Because there are no seams or joints to penetrate, this first layer of defense is important. It is also important to have a well-installed moisture barrier. United States Seamless projects typically use an approved underlayment and are installed by trained professionals. With maintenance-free exteriors from United States Seamless, you'll get a beautiful home exterior look without the effort. Your home is very likely one of your biggest investments. It's a place of safety and security for you and your family. Protect and trust your home to United States Seamless. We are homeowners, like you, and we know how important it is to keep a home looking beautiful. With a wide selection of siding profiles, colors and accessories, it’s no wonder we are the #1 choice in American-made seamless steel siding and accessories.